Discover how Essential Hypertension could be Prevented with Proper Breathing Exercises. 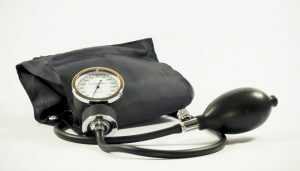 Essential Hypertension – the most common type of hypertension – accounts for 95 percent of people with high blood pressure. Fortunately, researchers at the University of Melbourne and Macquarie University have noted unusual activity between neurons controlling breathing and blood pressure during the developing stages of essential hypertension. These researchers believe that if caught early enough, essential hypertension might one day be prevented with proper breathing exercises. High Blood pressure effects 30% of the population, and is a primary contributor to heart disease. Essential Hypertension is high blood pressure that occurs without a known secondary cause. Additionally, effects 30% of the global population, and is a primary contributor to cardiovascular disease. Unfortunately there is no known cure for essential hypertension. However, the results discovered by Researcher Professor Andrew Allen may help prevent high blood pressure from developing in middle-aged adults. Regulating your breathing slows your heart rate and could prevent higher blood pressure. Andrew Allen notes that research parallels what athletes and eastern philosophies have long understood between breathing and heart rate. Allen states that, “Biathletes have to regulate their breathing to slow down their heart rate before rifle shooting. Additionally, eastern meditative practices such as yoga and pranayama have always emphasized the interaction between the two.” These neurons represent a potential target for therapies to prevent hypertension from growing in the middle of an individual’s life. Professor Allen and his co-author, Clement Menuet agree that intervention should be done early, as the nervous system is plastic. 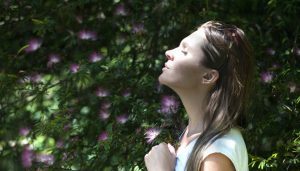 When Should Breathing Exercises Begin? Breathing exercises should be practiced during an individual’s youth. Research published by Cell Metabolism discovered altered activity between circuits of neurons that regulate breathing rates and the blood pressure becomes fixed. Additionally, any reductions in blood pressure from breathing adjustments appear to be temporary in adulthood. In the case of those tested during adolescence, “By interrupting the activity between these two groups of neurons during adolescence, we were able to dramatically reduce development of high blood pressure in adulthood,” says Allen. Altered neural activity leads to increased fluctuations in blood pressure with every breath. They are seen in young, healthy adults at risk of developing high blood pressure mid-life. This puts emphasis on the need to identify and treat those at risk of developing high blood pressure early. “By understanding what predictors of hypertension are easy to assess, we might be better placed to offer early treatment to pre-hypertensive patients,” concludes Professor Allen. Looking for ways to improve your overall wellness, physical, or mental health? Visit besimplywell.com to discover the benefits of Holistic Chiropractic Care from Dr. D’Anna and his team at Be simply Well Holistic Care.